I have ran 20 half marathons and 5 full marathons in all types of weather. Wind, rain, sleet, extreme heat and freezing cold conditions. Until Saturday, I have not had a race cancelled on me. 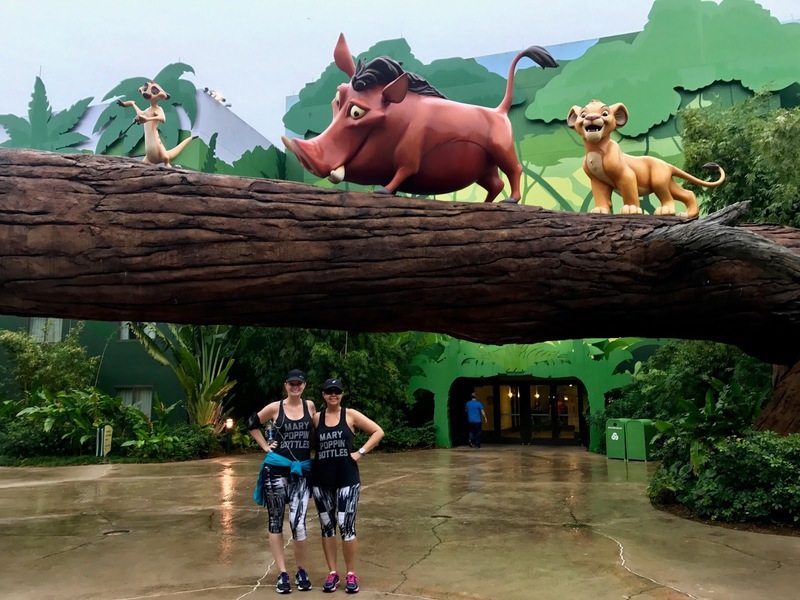 We stalked the weather channel app on an hourly basis and speculated throughout the day with other friends who were scheduled to run the 2017 Walt Disney World Half Marathon...What was runDisney going to do? Cut the course? Start it earlier? Change the course so we start under cover if needed? There was one thing for certain, the weather radar showed lightning in the area all morning. With 25,000 runners, volunteers and course support, Disney had to keep us safe. I received a text around 7:30pm from my friend Heather. She saw early reports the Half Marathon being cancelled. Of all situations that went through our heads, cancelling the race was the furthest from it. We went through a wave of emotions. I will state, both my best friend Keri and I were already a ball of nerves about this race. We forgot to put in our proof of time and were starting in the back of the pack. I knew we wouldn't be able to take many character photo opp's. We didn't want to be stuck outside in the rain for an hour while the 25,000 runners in front of us started the race. 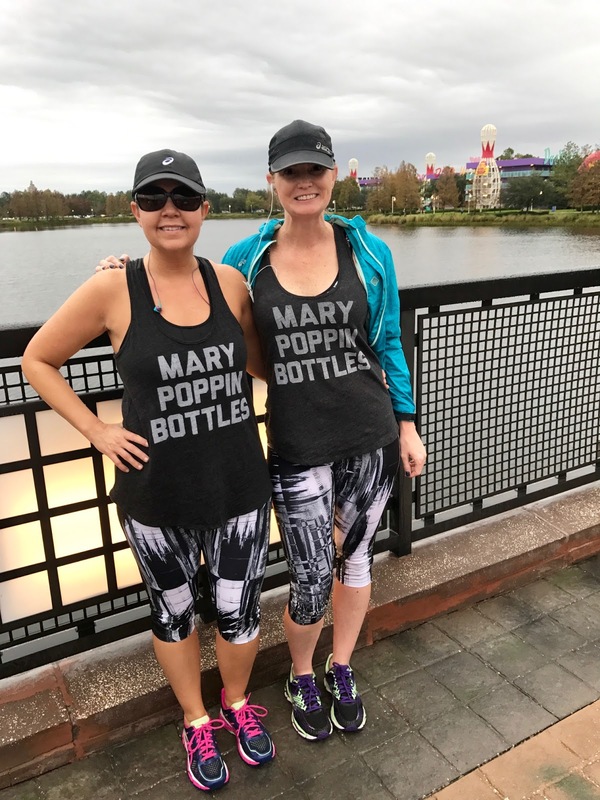 After it sunk in we wouldn't have a 3:00am wake-up call, we headed to Disney Springs where we found many others wearing their Half Marathon shirts and had a few cocktails at STK. With zero intentions of running on Saturday, we decided we would get our mileage in over the course of the next few days while on our girls cruise. I pulled myself out of bed, look out the window and sure enough I see a runner, another runner, someone in a tutu - everyone proudly wearing their bibs. We quickly put on our outfits, laced up our sneakers and joined the party. At first, we passed a few people here and there. It was raining pretty hard but we were able to take cover when needed. Safety was our main objective and we had to take cover after the first mile around the lake. This is when we found two guys running Dopey who already got in their 13.1 miles that morning. One of whom was dressed as Anna and I knew right then, we had to get a photo with him. This would start our tour of fake character opp's around the resort. Once the rain let up, we continued on. Passing a lot of the same people along the hourglass shaped course. We would venture off into the buildings, taking photos as we wished. No character lines. We ended up having a total blast. The crowd support is what touched me the most. People staying in the resort and friends / family of other runners who decided to get their mileage in and earn the medal runDisney will be sending us in the mail. People were handing out shots of water, pretzels, candy. People in ChEAR Squad shirts, with cowbells and screaming encouragement at runners. See below for yourself. The crowd grew. The runners on the course were multiplying. This was happening. A makeshift half marathon. The many Dopey's we passed proudly wearing their bibs would earn that 48.6 miles. The Goofy's will get in their 39.3 miles. One thing was certain, the runners were so supportive of one another. No screaming on your left. It was just smiles all around - good job runner. Keep it up. It was a level of unity that I have never witnessed before. It was magical and we were proud to be part of this moment. Of course we were bummed not to run the official 13.1 but the last thing we wanted to do was dwell on negativity or complain. Instead, we made the best out of the situation and ended up having an amazing morning. On a side note, I will state - Disney went above and beyond to make this right. Our safety is their number one concern and they did not have to give us any kind of refund. When registering for the race, it says they are not liable for refund due to weather. They gave runners four options to get a form of a refund. Without a doubt, we are going with option 3 - Wine and Dine 2017 here we come! Option 1: A full refund for their race registration in the form of a Disney Gift Card. 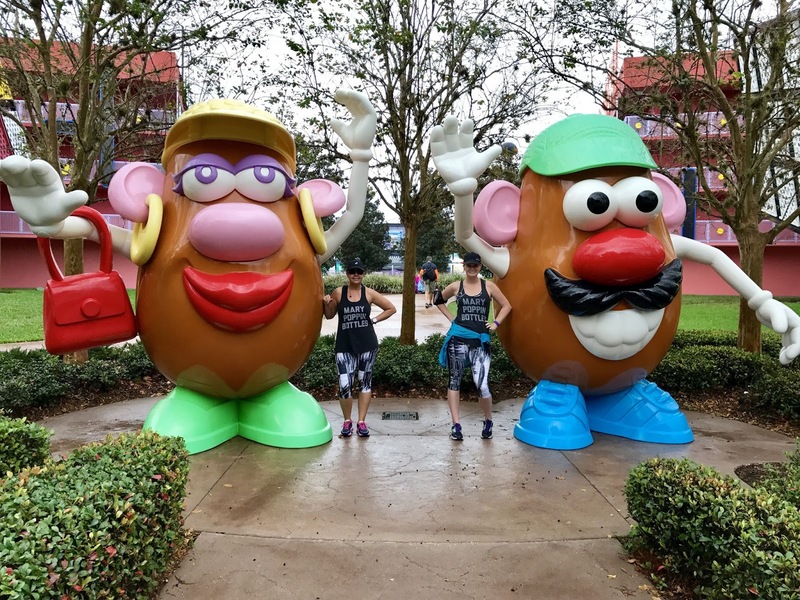 Those participating in the Walt Disney World Half Marathon, runDisney Kids Races, ChEAR Squad and Race Retreat will receive a refund in the form of a Disney Gift Card in the amount equal to their registration. 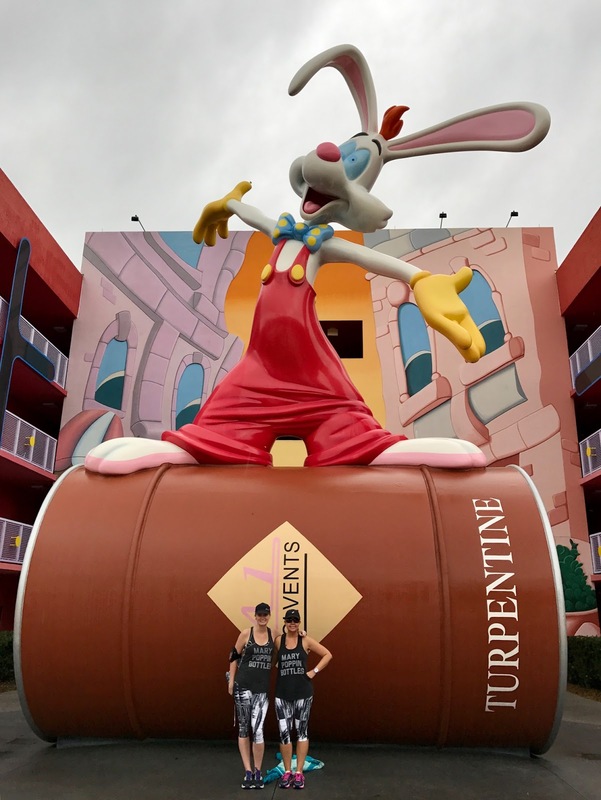 Those participating in the Goofy’s Race and a Half Challenge and/or Dopey Challenge will receive a partial refund in the amount of the half marathon registration. 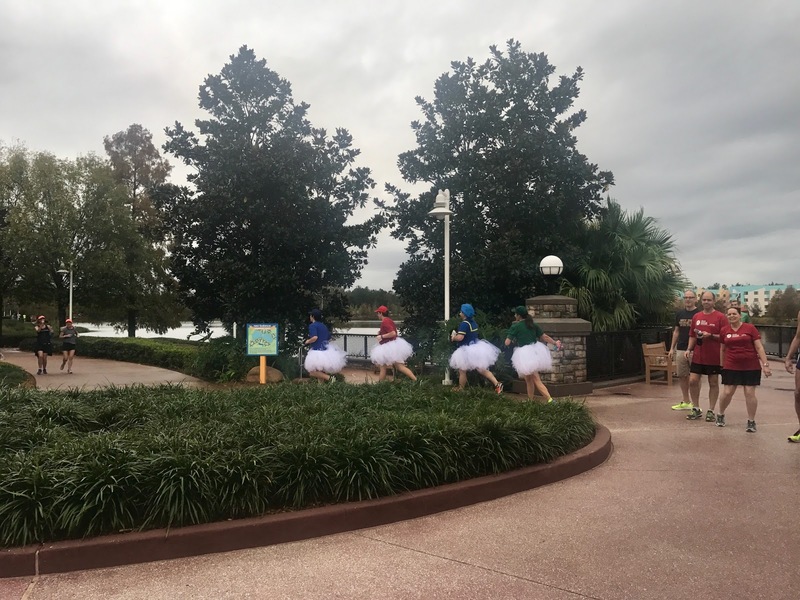 Walt Disney World Half Marathon, runDisney Kids Races, ChEAR Squad and Race Retreat participants: Bring a valid photo ID and race bib or wristband to the ESPN Wide World of Sports Complex on Saturday, Jan. 7 between 11 a.m. and 4 p.m. Disney Cast Members will be there to guide you. Goofy’s Race and a Half Challenge and/or Dopey Challenge Participants: For your convenience, there is no need to visit the ESPN Wide World of Sports Complex. Medals will be awarded on Sunday, Jan. 8, after the full marathon. Your refund will be automatically sent to you via electronic Disney Gift Card. Option 2: Two One-Day Park Hopper tickets. Option 3: Transfer registration to another runDisney half marathon race in the U.S. within the next 24 months, subject to availability. 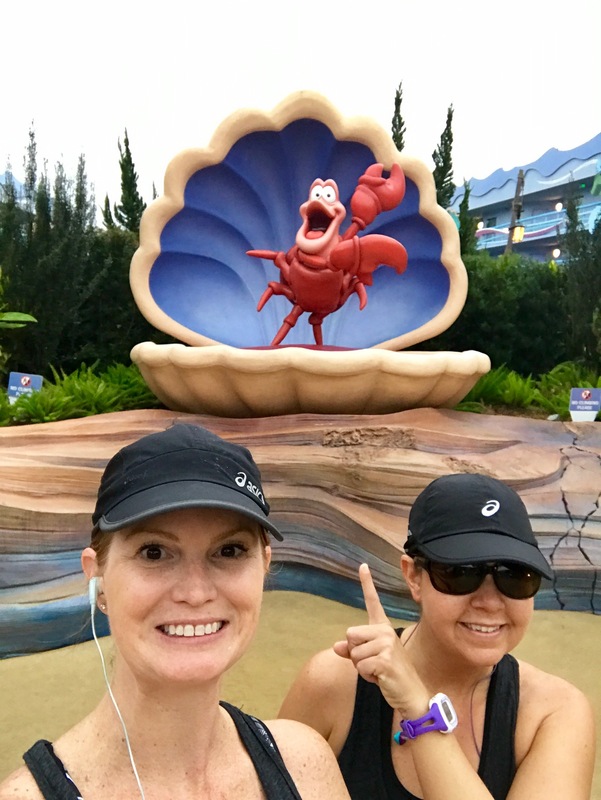 Runners interested in transferring their registration to another runDisney half marathon in the U.S. within the next 24 months should contact runDisney beginning Friday, Jan. 13, 2017. Please email your future race preferences to rundisney@disneysports.com with your name, bib number, phone number and mailing address so we can mail your medal to you. A Disney Cast Member will follow up with a phone call to discuss availability of future half marathon races. For convenience, those who choose this option will have their 2017 Walt Disney World Half Marathon medal mailed to their home address so there is no need to visit the ESPN Wide World of Sports Complex. Option 4: There is limited availability to run the full marathon on Sunday, Jan. 8, 2017 during the regularly scheduled race.